Isabelle is a beautiful mobile ready responsive WordPress theme for women wanting a chic and feminine website design. 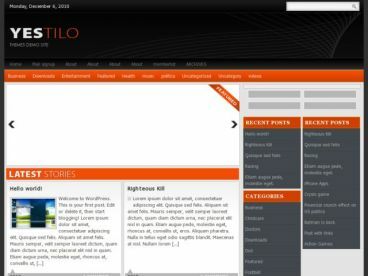 The pretty theme is ideal for stylish blogs and magazine websites about all sorts of women’s interests. Isabelle theme would work great for websites about home living, lifestyle, crafts, clothing and fashion, makeup, baby and parenting, decorating, weddings or any other niche. 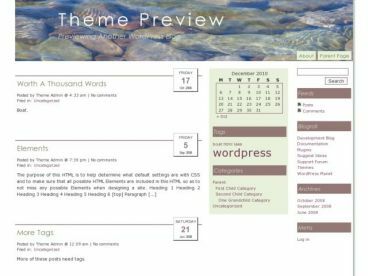 The Isabelle theme can be used as an online magazine or a blog. It gives you the option to have a magazine layout with excerpt post and thumbnail in two columns (pictured), or a full post blog style layout. Some of the other features include: a large featured slider on the homepage, colour wheel picker to change your colour schemes, theme options panel, custom logo uploader, custom shortcodes (for columns, button, contact forms, accordion, info boxes etc), localization support and more.